Providing you the best range of sulphur 80% wdg, carbendazim 46.27% sc, mancozeb 75% wp, hexaconazole 5%sc, carbendazim 12% mancozeb 63% wp and lime sulphur 22% sc with effective & timely delivery. 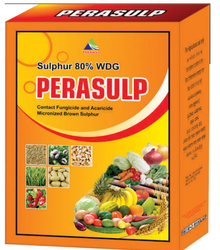 Our organization set a benchmark in the industry by providing a wide gamut of Perasulp Fungicide(Sulphur 80% WDG) in the market. The offered quality approved collections of the product is prepared under the direction of chemists with following industry norms. Further, our offered range increasing crop yields and continued use of these are magnifying S deficiencies and can be availed at economical prices with tamper-proof packaging. 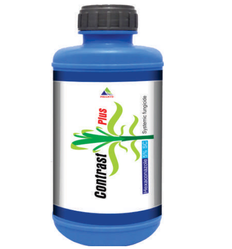 We are among the celebrated organizations in the industry for offering a wide range of Tussle Gold Fungicide(Carbendazim 46.27 SC) in the market. 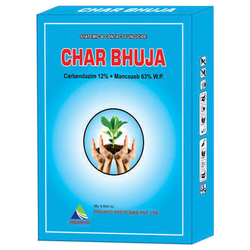 This product is used for the control of powdery mildew of grapes and mango and prepared as per the industry defined parameters under the direction of domain experts. Apart from this, our offered products can be availed at economical prices with tamper-proof packaging. 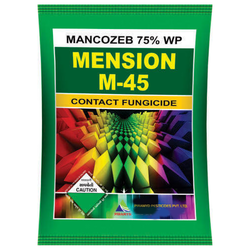 To fulfil the increasing and ever-changing demands of our valued clients, we are highly engaged in offering Mension M-45 Fungicide(Mancozed 75%WP) in the market. 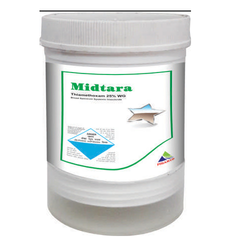 These are used on mushroom, mangoes, protease and violas. At our premises, these offered products are processed under the hygienic conditions using only pure quality ingredients that are sourced from the authentic vendors of the market. We are actively engaged in presenting the supreme quality array of Contrast Plus Fungicide(Hexaconazole 5% SC) to our esteemed clients. It is used to protect crops from different fungus and processed in compliance with the laid industry quality standards under the direction of our chemist at our well-equipped infrastructure. Apart from this, these products are available in given frame of time. We are leading supplier of Lime sulphur 22% SC.